A sweltering day at Donington Park left me with a pink neck, red arms and a rosy face. 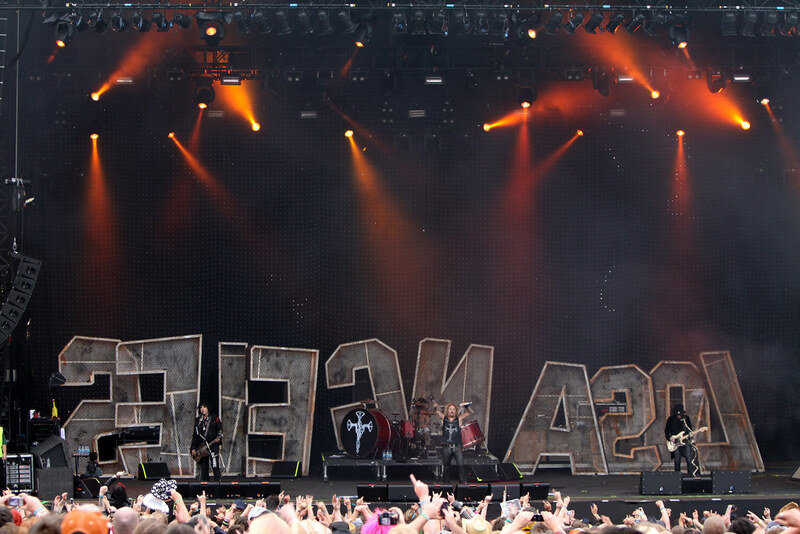 Good start for Download though. 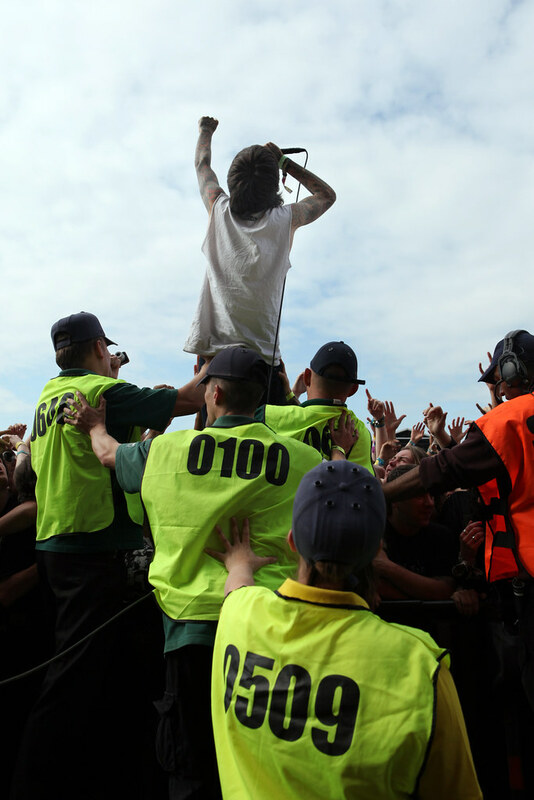 Oli Sykes of Bring Me The Horizon jumps into the crowd. 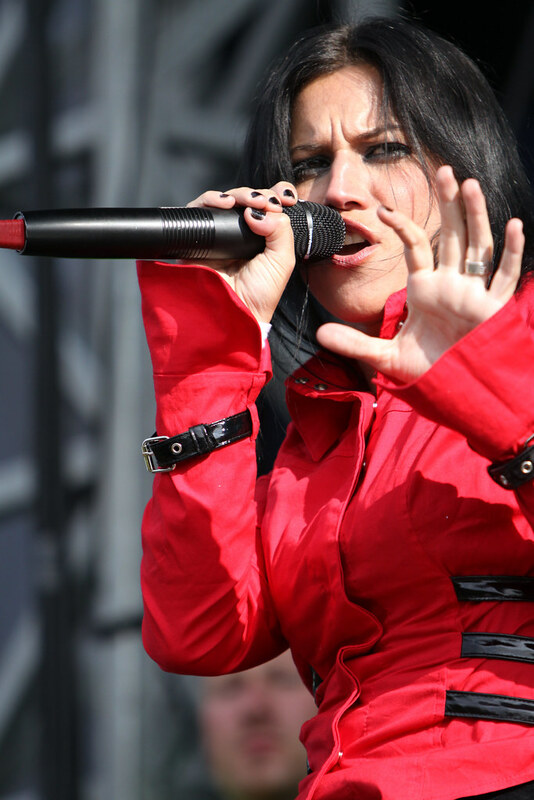 Christina Scabbia of Lacuna Coil. Mötley Crüe from the sound desk.